For drawings at full size, click here. *Toe Kick Cutouts are recommended on 4″ to 4 1/2″ baseboard. 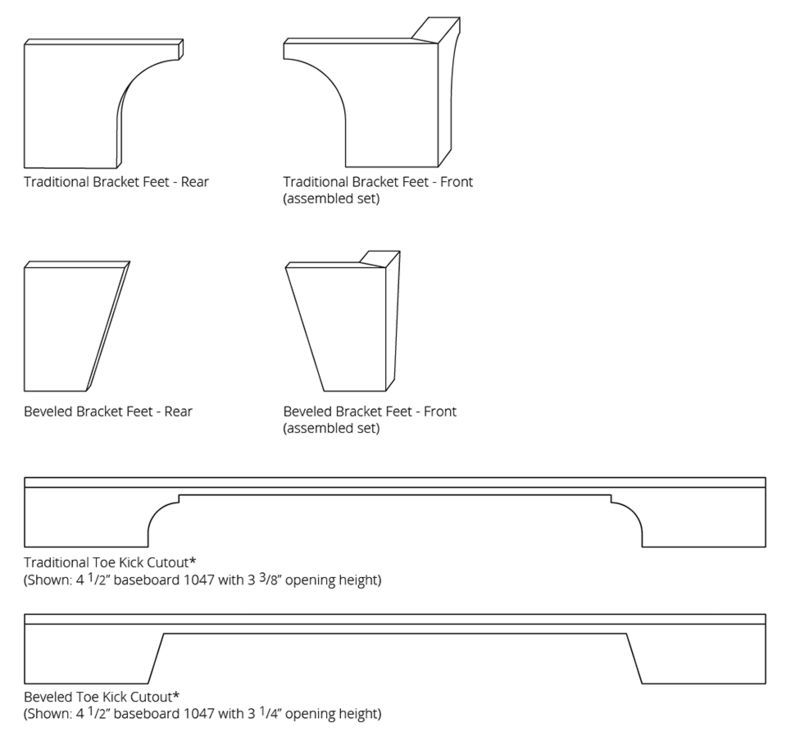 When ordering, specify baseboard type, opening size, and moulding length.